Today, it seems everybody has a cousin who's a web designer -- who will do it for cheap. So what does DPIX do that's any different? 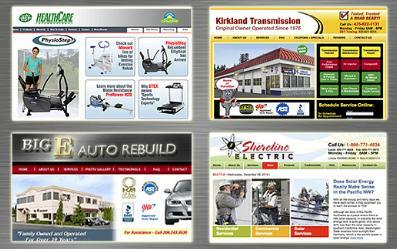 First, we believe a business need more than a simple website. They need a web marketing solution designed to help them compete and grow in today's internet driven world. DPIX does this by creating a website that combines strong graphics, photos and videos with key technologies like SEO, PPC and cross media marketing that will drive visitors to your business website, keep them there longer and help convert them to sales.